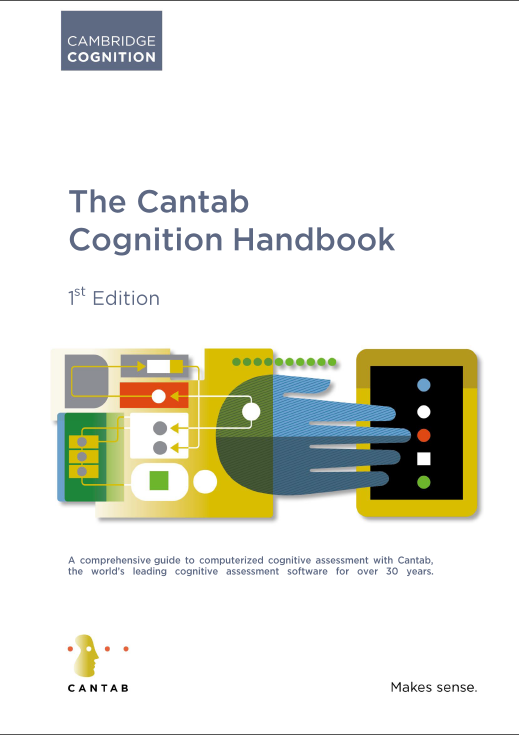 The Cantab Cognition Handbook offers a comprehensive introduction to computerized cognitive assessment with Cantab. It starts with an overview of Cantab software, and then is divided into a series of sections that focus on the key cognitive domains of psychomotor speed, attention, episodic memory, working memory and executive function. Each section starts by providing an overview of the theoretical background to the cognitive domain and how it is affected in neurodegenerative, psychiatric and neurological disorders. Each section then describes and discusses the Cantab test or tests that have been used to assess the cognitive domain, with a succinct review of the existing literature relating to each Cantab test included.